CHARLOTTESVILLE, VA. December 26, 2014: This December, the forensics experts at SHINE Systems were able to share their many talents with an eager group of young investigators at St. Anne’s-Belfield High School (STAB). STAB, a private high school in Charlottesville with 400 students, offers its students a three week “Intensive” between Thanksgiving and Christmas. Students can sign up to take a course from a variety of subject areas to gain comprehensive, hands-on experience on different disciplines of study outside the normal high school curriculum. Greg Pitsenberger, Director of Identity Intelligence at SHINE, and Erik Berg, Director of I2 Solutions at SHINE, created and taught the course that focused on finger prints and DNA. Students were instructed on how to recover finger prints from a crime scene using finger print powder and some chemical development techniques. DNA was collected using cotton swabs and then analyzed. SHINE Systems & Technologies (SHINE) is an SBA-certified HUBZone small business headquartered in Charlottesville, Virginia. SHINE Systems is at the forefront of innovation in our core competencies of intelligence analytics, technology integration, and mission support services. 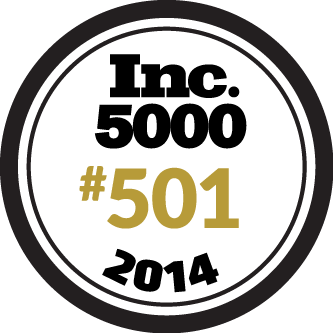 For two years running, SHINE Systems has been recognized on the Inc. 500|5000 list of fastest growing private businesses as #501 in 2014 and #307 in 2013. 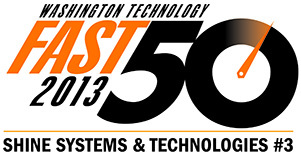 Also in 2013, SHINE was ranked #3 on the Washington Technology Fast 50 fastest growing small businesses in the government market. To learn more, please visit www.shinesystech.com.